The marching arts have become a cultural staple in some key cities including Indianapolis; Dayton, Ohio; and most recently Williamsport, Pennsylvania. On Aug. 11, 2018, Drum Corps International (DCI) brought the city of Indianapolis together—and not just through that night’s championships. 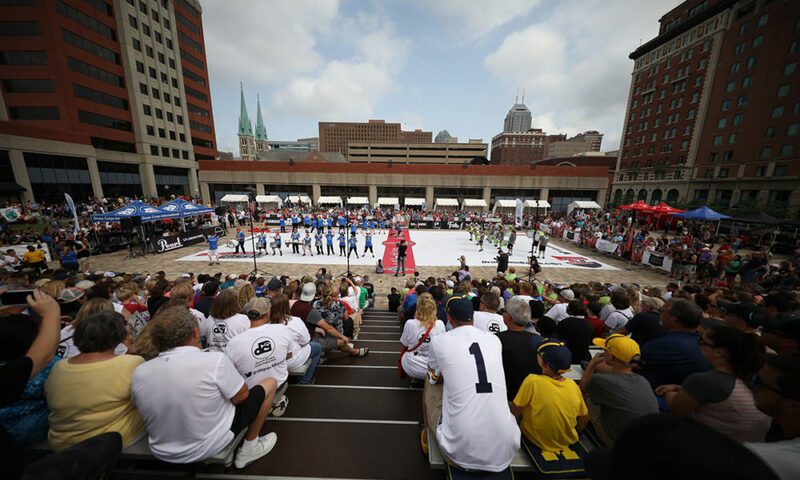 That morning, the organization hosted the annual SoundSport International Music and Food Festival, presented by Motif Music, in Pan Am Plaza, which is located near Lucas Oil Stadium. The event featured 14 local food trucks as well as special exhibitions, DrumLine Battle competitions between eight groups, and 16 SoundSport groups performing inside The Pavilion at Pan Am. 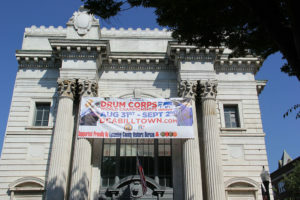 DCI also hosts the Street Beat 5K race, and drum corps can be heard and seen practicing throughout the city. DCI originally signed a 10-year agreement with Indianapolis through 2018. Recently, DCI signed a new agreement, which will keep championships grounded in Indianapolis until at least 2028. In November, the excitement of the marching arts electrifies Indianapolis again when thousands of high school band members participate in Bands of America (BOA) Grand Nationals. 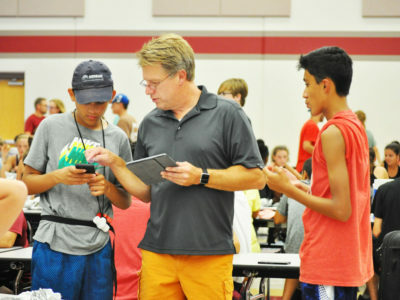 Just as DCI and Music for All (MFA)—BOA organizer—have played a major role in spreading this love of the marching arts throughout Indianapolis, other organizations such as Drum Corps Associates (DCA) and WGI Sport of the Arts have been making the marching arts a core part of their cities’ cultures. Previously, the city of Rochester, New York, had been known as the site of championships for DCA senior and all-age drum and bugle corps. 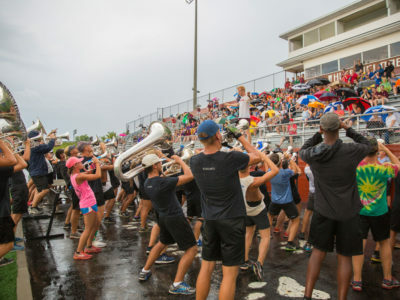 However, drum corps involvement in New York has declined over the years while remaining strong in other East Coast states like Pennsylvania, New Jersey, and Connecticut, according to Allen Buell, president of DCA. As a result, DCA chose Williamsport, Pennsylvania, and the Williamsport Area High School football stadium as its championship location for this year and 2019. The choice to move cities stems from the desire to perform where a large fan base already exists. As a result of the move, DCA saw an immediate increase in its audience. “Ticket sales [were] higher than they’ve been in years just because we’ve moved to Pennsylvania,” Buell says. 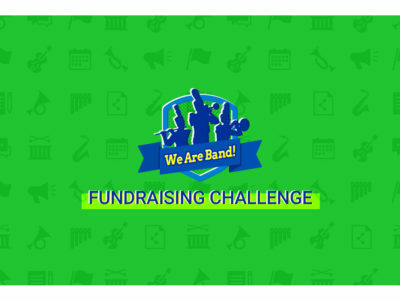 Williamsport has welcomed DCA and overall marching culture with open arms, including grants from local foundations to help with advertising costs. 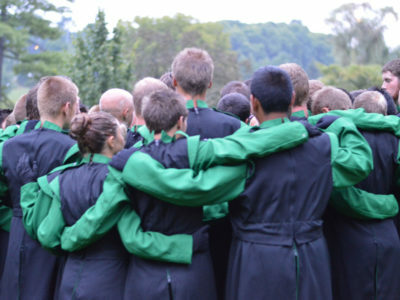 On the evening prior to championships, drumlines even took the streets as they performed in front of the Community Arts Center while mini corps and individual and ensemble competitions took place inside the building. While the excitement of marching arts championships may be new to Williamsport, it has been influencing the culture of Dayton, Ohio, for more than three decades. For 32 years, Dayton has been the home to the WGI World Championships for indoor color guard, percussion, and most recently wind ensembles. 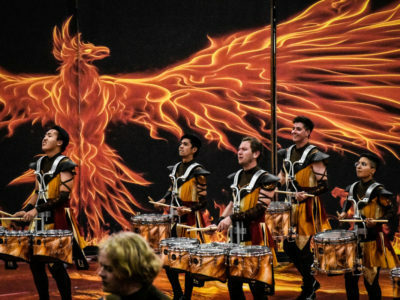 WGI first decided to hold its championships in Dayton because one of its board members was involved with the University of Dayton and recommended its arena for performances. Though WGI originally desired this arena for its optimal seating layout and vast parking space, setting up shop in Dayton has had a myriad of other positive effects for WGI. 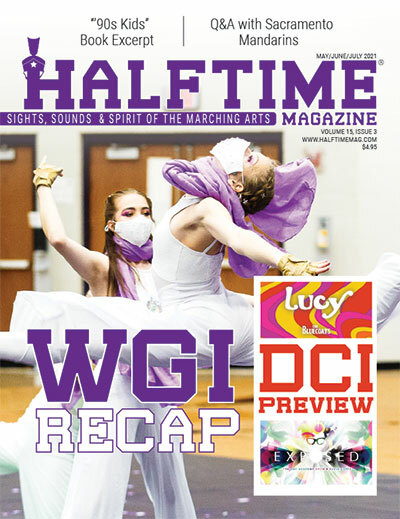 “The close proximity of other major arenas that are willing to partner with WGI has allowed the indoor marching arts to grow while remaining in the Dayton and Miami Valley area,” says Crystal Walker, WGI’s former marketing manager. The Dayton area has more than 50 nearby practice facilities as well, according to Walker. Montgomery County, which includes Dayton, has been a major supporter of WGI. The county’s Visitors and Convention Bureau has taken an active part in helping gain publicity for the big championship event. This publicity ranges from banners placed on light poles to TV and radio appearances for WGI. “Various radio stations talk about World Championships, and there are stories on the local TV stations’ evening news,” Walker says. 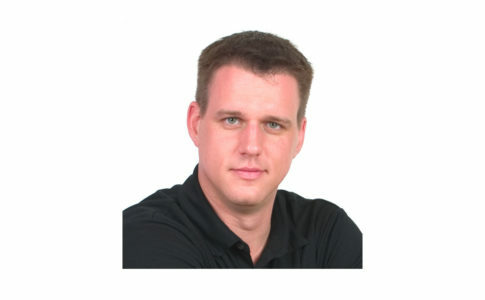 During the competition itself, newscasters broadcast live coverage, including footage from practice facilities and competition sites. For the two weeks surrounding championships, Dayton is full of WGI participants and fans. “Throughout Dayton, you are constantly running into people involved with WGI,” Walker says. 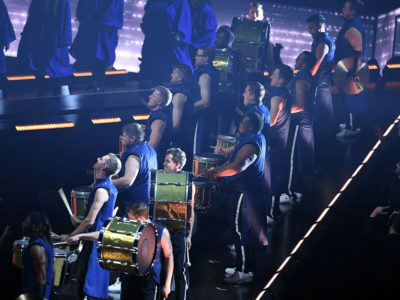 For the past 10 years, Indianapolis has been home to DCI championships. 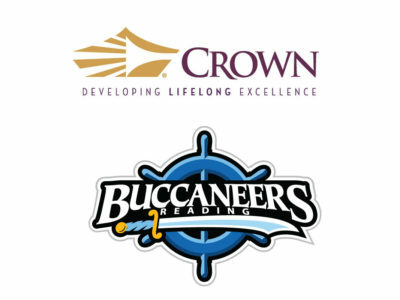 Before 2008, DCI was headquartered in Addison, Illinois, a suburb of Chicago. 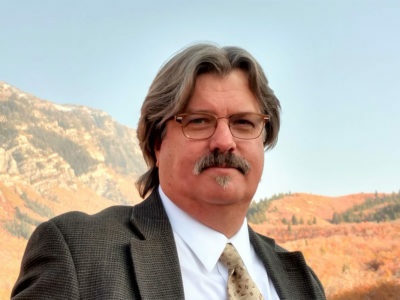 According to DeNovi, the decision to move to Indianapolis came from the desire to move three musical organizations to one centralized location. 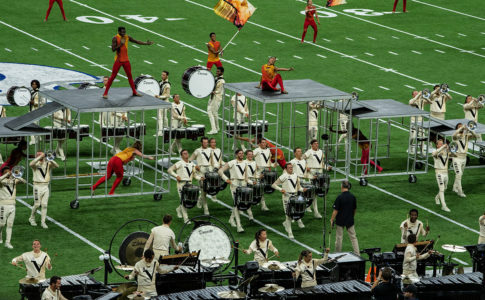 Indianapolis saw major value in hosting DCI World Championships, BOA Grand Nationals, and the Percussive Arts Society International Convention (PASIC). When championships were held in Pasadena, California, in 2007, DCI staff flew out to Pasadena 10 individual times for meetings, DeNovi recalls. “Now having championships three blocks away from headquarters, we can go to the stadium anytime we want,” he says. They have also formed strategic partnerships with other local groups and activities, such as the Arts Council of Indianapolis, the Indianapolis 500 Festival Parade, and the Indiana State Fair Band Day. 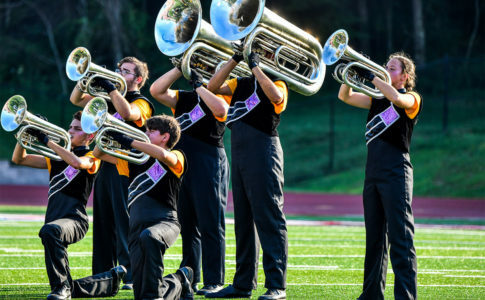 For MFA, Indianapolis hosts the BOA Grand National Championships, which will feature about 110 competing schools this year and bring in about 25,000 people to the city. 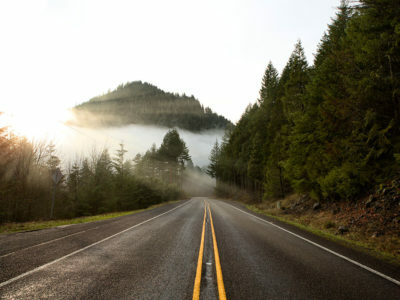 Just outside Indianapolis at Ball State University, MFA also hosts a Summer Symposium camp, which draws in more than 1,500 students from more than 30 states. The symposium also offers at least 30 scholarships per year, so that students from underserved schools are able to participate. Additionally, MFA hosts a National Festival in the spring, which features concert bands, chamber ensembles, percussion ensembles, orchestras, and choirs from all over the country. 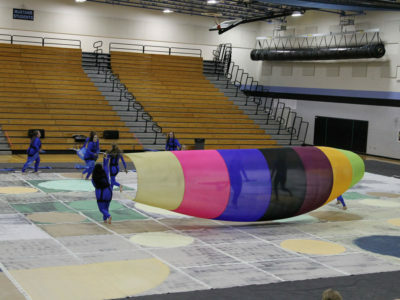 Photos courtesy of Christine Ngeo Katzman, WGI Sport of the Arts and Drum Corps International.